The JR60 compact series is designed for the smaller scale owner operator to accommodate his facility and equipment needs. 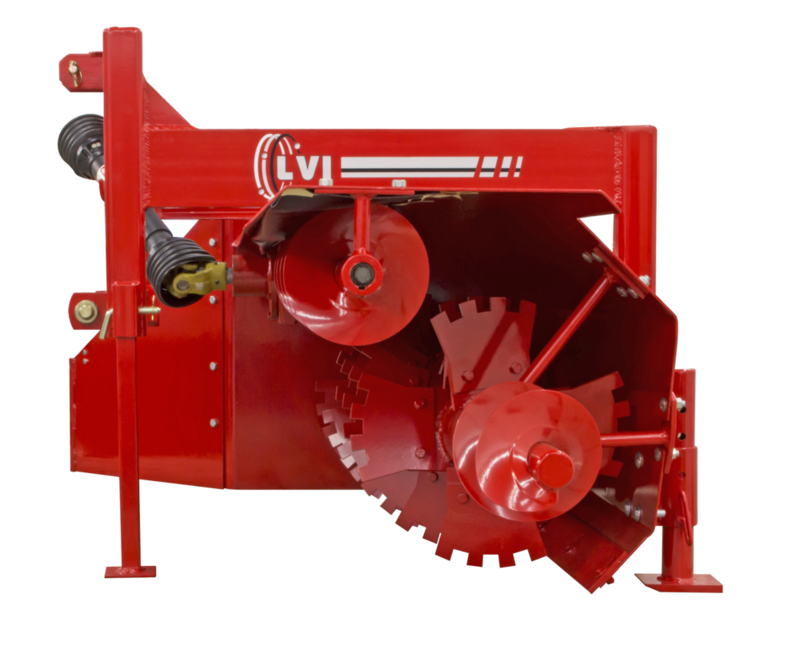 The JR60 performs with lower HP requirement featuring standard upper and lower extension augers, creating tall, well formed windrows for optimum heat generation and composting results. The JR60 now comes standard with wing wheel and corner wheel. This series does not include built in side shift and tilt hydraulic cylinder feature. 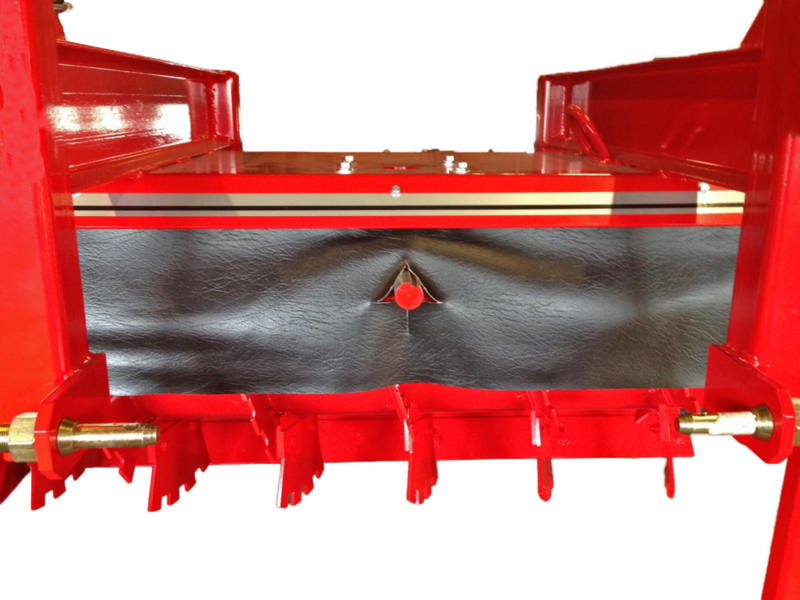 Tilt cylinder may be purchased separately to mount on the tractor. Attachment Type 3 pt. Overall Width 99"
Power Drive 540 Distance Behind Lift Arms 40"
ShearPlate Width 60" Approx. Machine Weight 1,100 lbs.